Nailed It! Holiday! – Season 1 (2018) – What's New on Netflix Canada Today! It’s the “Nailed It!” holiday special you’ve been waiting for, with missing ingredients, impossible asks and desserts that look delightfully sad. Novice chefs compete in a holiday-themed cooking challenges to earn a $10,000 prize. 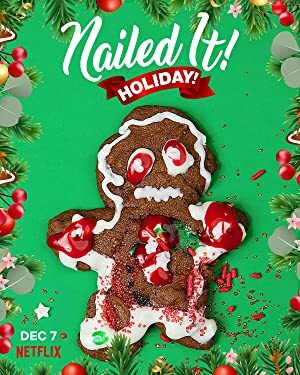 It’s the “Nailed It!” holiday special you’ve been waiting for, with missing ingredients, impossible asks and desserts that look delightfully sad.